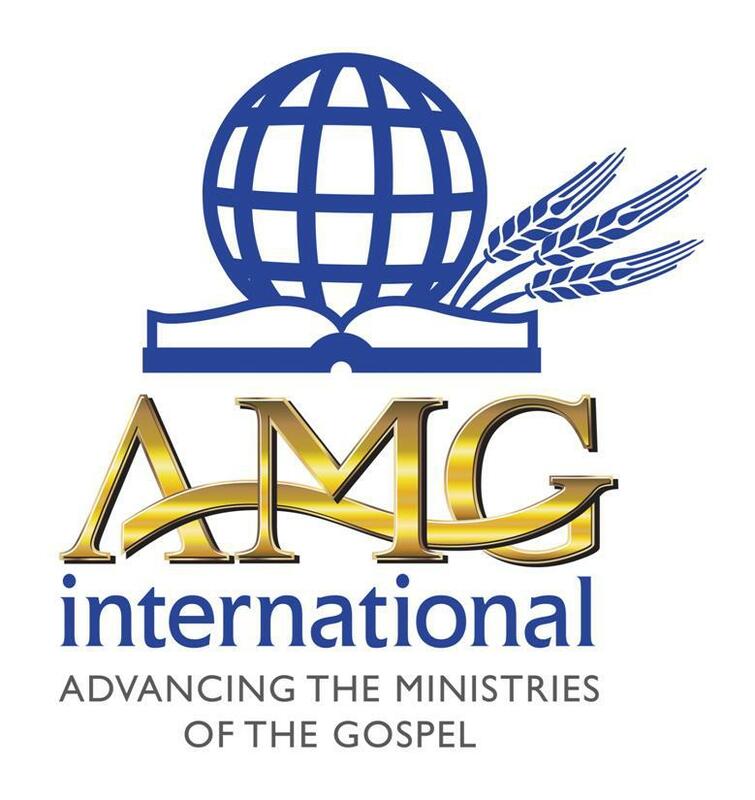 Africa (OM) — An Operation Mobilization outreach team brought the life-changing Gospel message to impoverished villages in Africa plagued by disease and the worship of ancestral spirits. The Holy Spirit was at work, prompting 110 people to make commitments to Jesus during the outreach. The team planted two churches in the Chimbuwe and Mutemakungu villages of the Muzarabani Hoya area. Muzarabani is a district along the Zimbabwe-Mozambique border in Mashonaland Central Province. 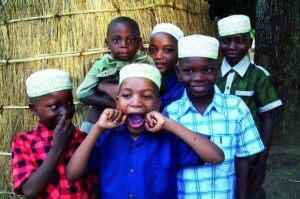 The people are mainly from the Korekore tribal group, but others are Chikunda. Many practice traditional ancestral worship and are said to be possessed by the baboon spirit. During the dry season, some of the people of the Muzarabani area brew alcohol from the masawu fruit, which they offer to appease the baboon spirit. They also brew beer to sell or simply for entertainment during social gatherings. There are not many Bible-believing churches in the area. The Muzarabani District suffered church neglect during the late 60s to the 80s, since it was a hotbed of the war for independence due to its proximity to the liberation fighter’s base in Mozambique. This neglect gave rise to a number of sects and cults, which dominate the area. Many pastors serving in the few Bible-believing churches have left due to struggles adjusting to the extreme weather conditions. Muzarabani floods during the rainy season, causing a perennial loss of crops. During the dry season, extreme temperatures force people to sleep outside their homes. Mosquitos prey on the people sleeping outdoors, resulting in malaria outbreaks. The OM outreach, originally set for an earlier date in April, was postponed due to a number of challenges, including low numbers. Even so, only four people from three churches based in Harare and Mutoko had signed up by the new deadline. OM Zimbabwe Outreaches Coordinator Webster Dungwa decided to go ahead with the four who had signed up. He was immediately encouraged when a few of the people who had signed up for the previous outreach date but who could not commit to the rescheduled one, financially supported those who were participating and committed to pray. In Muzarabani, a local Eternal Word Church hosted the outreach. The team’s first place of ministry was a village called Chimbuwe, which was a 12-kilometer walk from their base. They found an expectant crowd of about 100 people waiting. The team showed the JESUS film and preached the Gospel, and 40 people gave their lives to Christ by the end of the day. The next day, the outreach team was scheduled for another day of ministry 17 kilometers away at a village called Mutemakungu. An ox-drawn cart was supposed to transport the team, but the cart tire developed a puncture, which meant they had to walk. They arrived late but were encouraged to see another expectant crowd. 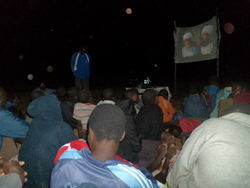 Despite their exhaustion, the team showed the JESUS film and preached the Gospel. That night, 70 people indicated decisions for Christ. The team was concerned how to best support and encourage the people who had given their lives to Christ in the two villages. 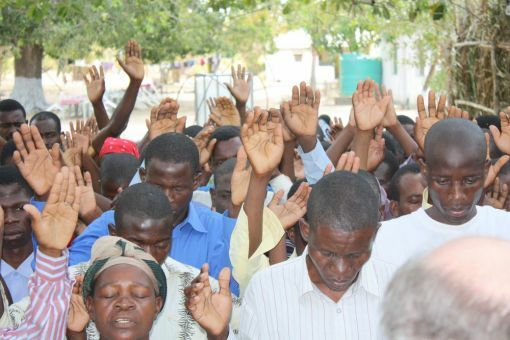 The host pastor of their outreach, Pastor Israel Farai, assigned two members from his church to take provisional charge of the 40 Christians from Chimbuwe and the 70 from Mutemakungu. The team asked OM to train new leaders for the area, but in the meantime, the local church leader and outreach host, Pastor Farai, would provide direction to the new church plants. Pastor Farai has been living in Muzarabani for the past seven years. Praise God for those who indicated new faith in Christ during the outreaches! Please pray for Pastor Farai and the new churches in Chimbuwe and Muzarabani. Praise God for those who indicated new faith in Christ during the outreaches! Pray for Pastor Farai and the new churches in Chimbuwe and Muzarabani.